Heartland currently has 15 AEDs, two of which are located at the Pontiac and Lincoln campuses. 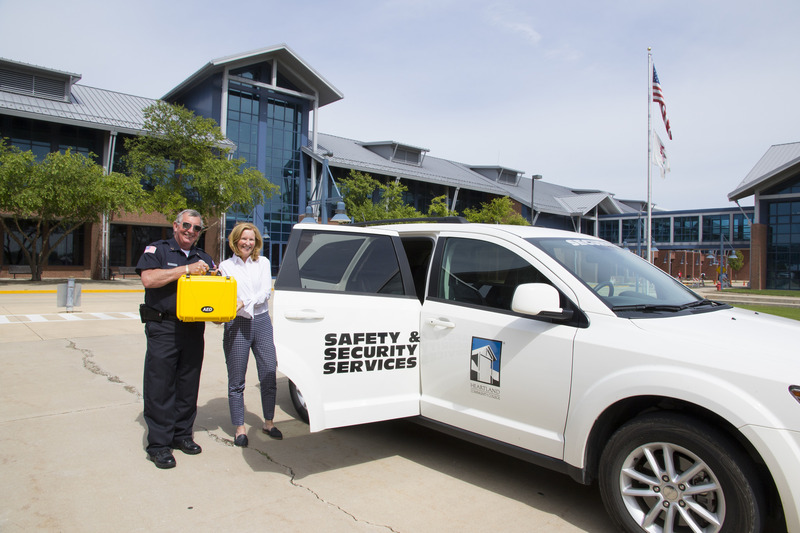 The most recent AED will remain in the security vehicle so first responders can access it easily should they need it. IHLF has one fundraiser every year to help station AEDs in the community. So far, the organization has invested more than $200,000 in AED placements and Heartland’s donated defibrillator is one of the latest. 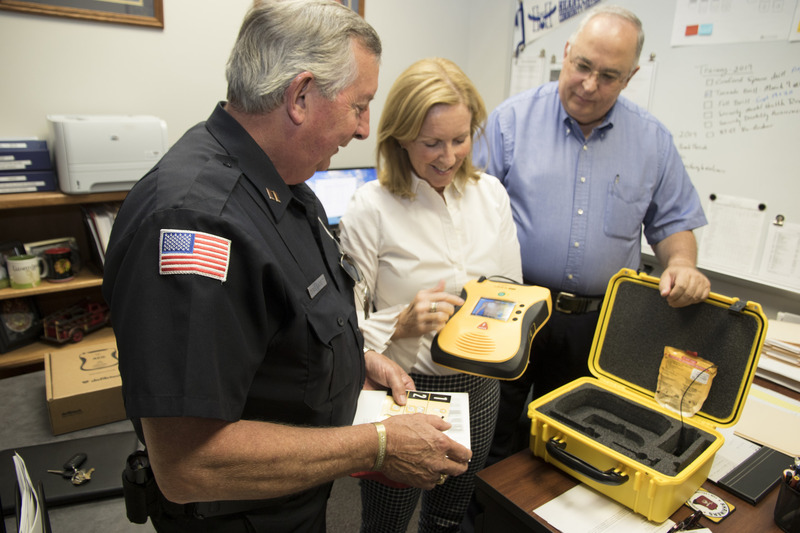 For AEDs in particular, Franklin describes them as “bystander friendly.” “The device gives audible instructions which makes them very easy to use because it walks you through it step by step,” she said. To help the general public feel more comfortable helping someone in need, Franklin and IHLF encourage people to download a free app on their smartphone called PulsePoint. The app is a comprehensive registry of AEDs that works with a phone’s GPS to locate the nearest defibrillator. To learn more about AEDs and IHLF’s upcoming fundraiser on August 26, visit the IHLF website.